Dr. Michael Hirt is a leading expert and independent consultant on Corporate Finance and Corporate Development topics. He is President & CEO of HIRT&FRIENDS, an independent management consultancy and Director of the Austrian Institute for Management Innovation. He has published widely on Management and Corporate Finance Topics and has served as a visiting faculty member of major universities. Prior to his career as an independent consultant, speaker and management author, he worked as an investment banker with HSBC Investment Bank, as a Corporate Finance Expert with the Austrian Privatization Agency/State Holding Company ÖIAG and as a strategy and management consultant with BCG. Michael received both his MBA from INSEAD and his Doctorate in Law from Vienna University with Distinction and holds an LL.M. from McGill University, Montreal/Canada. He is a CMC - Certified Management Consultant, award with Distinction. The CMC represents evidence of the highest standards of consulting and adherence to the ethical canons of the profession. Less than 1% of all consultants have achieved this globally recognized level of performance. Dr. Sonja Legtmann is co-founder and managing director of SAXO Equity GmbH, an independent corporate finance advisory firm for the mid-market with a special focus on technology companies. 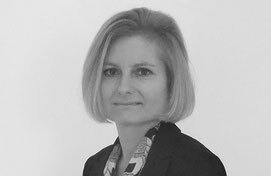 At SAXO Equity Dr. Sonja Legtmann mainly works on M&A advisory projects specializing in the ICT and services industries. Before setting up SAXO Equity Dr. Sonja Legtmann was partner of an international venture capital and corporate finance company and member of the board of several portfolio and group companies. Prior to that she worked in corporate finance and investment banking advising on numerous financing, M&A, IPO and privatization projects in Germany, in London, where she worked for S.G. Warburg & Co. Ltd. as well as for a private bank in Vienna focusing on international transactions in Austria, Italy and Eastern Europe. Dr. Sonja Legtmann holds a master degree in business administration and a doctorate in economic sciences. Her working languages are German, English, French and Spanish. 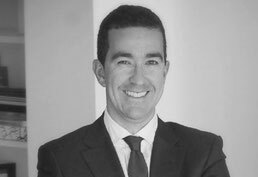 Aitor Arteaga is a Corporate Lawyer, with a Degree in Laws by the UPV and Master in Legal and Tax Advisory. 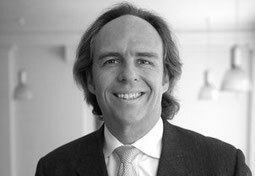 He is one of the founding members of BAUM partners, an independent legal and corporate advisory firm, specialized in supporting small and middle size industrial companies in their legal and financial affairs. Aitor has developed his career in legal firms, conducting projects for family-owned companies, restructuring of family assets and succession planning. He has participated as speaker and accredited financial consultant for public institutions in the Basque Country. In BAUM, he provides expertise in M&A projects, as well as in debt restructuring and industrial establishments abroad. Aitor is also highly specialized in private and public capital raising, and financial optimization. He is Legal Counsel and Member of the Board in several industrial companies.